The woman warrior is always cast as an anomaly--Joan of Arc, not G.I. Jane. But women, it turns out, have always gone to war. 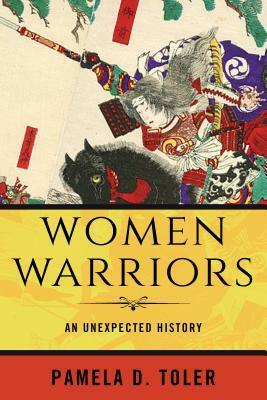 In this fascinating, lively, and wide-ranging book, historian Pamela Toler draws from a lifetime of scouring books for mentions of women warriors to tell their stories and to consider why women go to war. Tomyris, ruler of the hard-riding Massagetae, and her warriors killed Cyrus the Great of Persia when he sought to invade her lands. She herself hacked off his head in revenge for the death of her son. The West African ruler Amina of Hausa, a contemporary of Elizabeth I, led her fierce warriors in a campaign of territorial expansion for more than thirty years. Like Elizabeth, she refused to marry; unlike Elizabeth, she never claimed to be a Virgin Queen. Contemporary accounts of medieval sieges in Europe describe women using firearms, participating in night raids, joining in the defense of breaches in the walls, and fighting hand-to-hand at the improvised barricades that often provided a last line of defense. Among the examples of female samurai in Japan are the Joshigun, a group of thirty seriously combat-trained women who fought against the forces of the Meiji emperor in the late 19th century. These are the stories of those who commanded from the rear and those who fought in the front lines, those who fought because they wanted to, because they had to, or because they could. Considering the ways in which their presence has been erased from history, Toler concludes that women have always fought: not in spite of being women but because they are women. In fact, women have always gone to war: fighting to avenge their families, defend their homes (or cities or nation), win independence from a foreign power, expand their kingdom's boundaries, or satisfy their ambition. In 2017, when the “Birka Man”, in fact, turned out to be the “Birka Woman”, I felt like women all over the world shouted a “Yes!” collectively in euphoria and then simmered with rage over how our contributions over time have be left out of the annuals of history. With Women Warriors, Toler delivers a world wide smattering of women fighting at the head of and in the trenches with men. Njinga was forty-two years old when she succeeded her brother as the ngola of Ndongo. In December 1657, when she was nearly seventy-five, she led her army into battle for the last time. While I enjoyed the vastness of time periods, cultures, and geographical places the author touched on and named women warriors for, the organization kept me from fully placing, absorbing, or delving into these women. The first chapter is titled “Don't Mess with Mama” and the second is “Her Father's Daughter”. The women featured in these chapters are essentially categorized by their children, their father, and how that relationship defined their battle cry. This gives a new spin on viewing these women and helps to showcase the vastness of women's contributions but I'm more of a linear and structured reader. I would have enjoyed a more time line driven categorization, this helps with placement and remembering who was where and when. It wasn't until chapter seven, titled “In Disguise” that I thought the chapter had more cohesiveness and I enjoyed how the women were grouped by more interpersonal notes. Although, I still thought this chapter had issues because of the author's decision to relay the women's story but give their individual one line endings grouped together at the end of the chapter. I also found some of the footnotes to be tiresome. 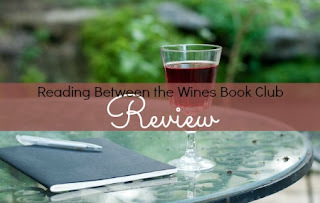 The author had a tendency to footnote personal feelings, which brought some humor, but as they became repetitive, they worked to disrupt my reading flow. I felt the page room would have been better served with added factual information given to the women warrior stories. As I mentioned, the author did a fantastic job touching on numerous women from numerous cultures, time periods, and continents. I recognized some probably more well known names, the Trung sisters, Emma Edmonds, and the Joshigun, but was also brought to the attention of some maybe lesser known, Pingyang, Ani Pachen, and Aethleflaed. I was particularly touched by the story of the unnamed American Civil War woman solider who not only fought in Fredericksburg but gave birth soon after and we only vaguely know of because of male soldier letters sent home giving mention of her. This reads as more of a primer, whether the reason is lack of research material available, facts, time, space, or personal decision, the author only devotes a couple paragraphs to the majority of the women's stories. It is, however, deeply satisfying to read the evidence of women's contributions to fights, battles, and war, an area women were and are constantly trying to be written out of. This is a “coffee table” book each household should have, as these names deserve to live on in memory. These pages were full of heroic and blood thirsty women, women who fought for country, revenge, adventure, and escape, tactical geniuses, and women simply trying to survive. No matter the time period, circumstances, or historical erasure, women have been right beside men actively living the human experience, this book importantly relays those facts to readers.